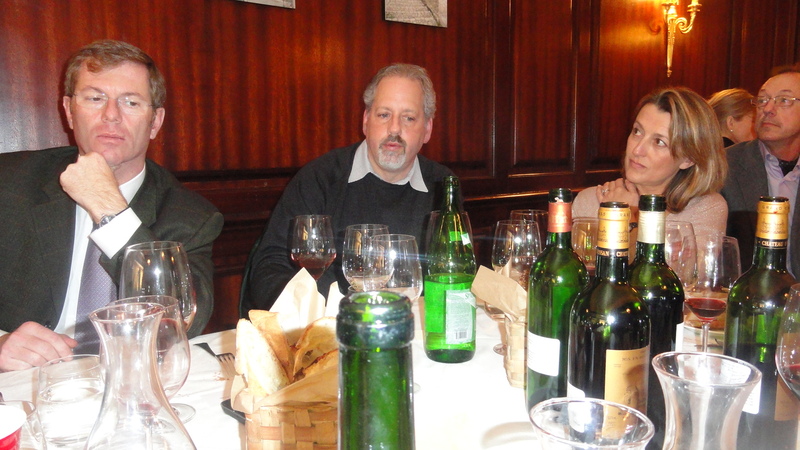 The Wine Media Guild holds its monthly tasting and lunch at Felidia restaurant in NYC. The theme of each event is set in June by the executive board. The events are usually held the first Wednesday of every month Oct-May. Members of the WMG become member sponsors for each event. For a number of years now Mark Golodetz has been the member sponsor for one of our most popular tastings — Bordeaux. 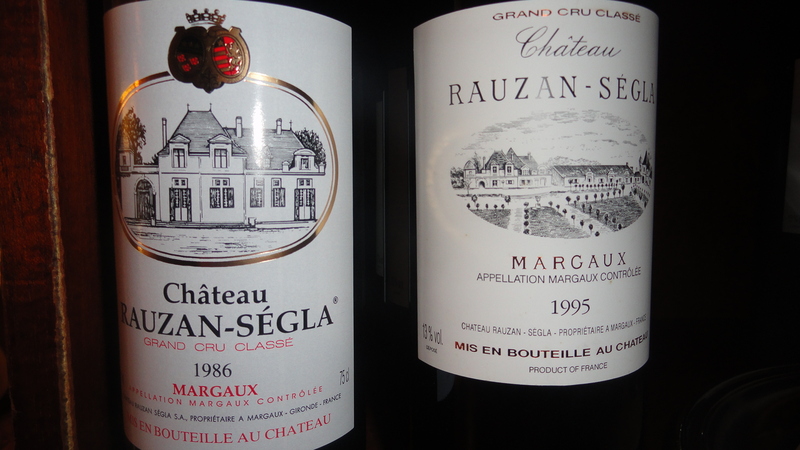 This time was no exception as Mark was able to get the wines of Chatteau d’Issan and Chateau Rauzan-Ségle going back to 1986 and a representative from each winery to speak at the event. 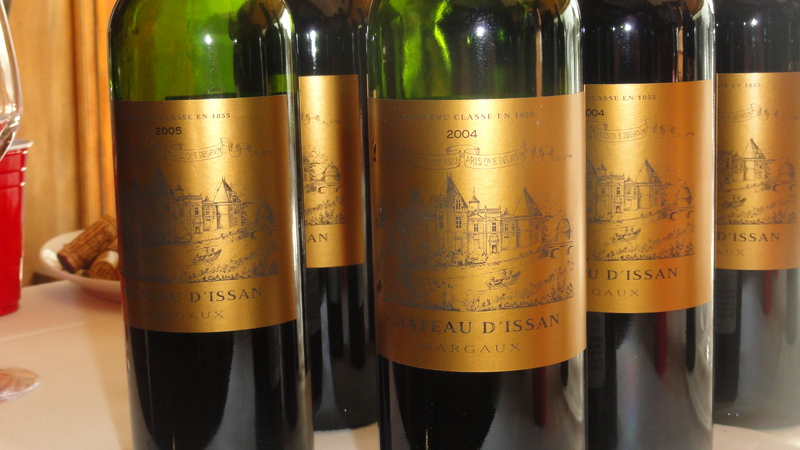 There were five wines from Chateau d’ Issan at the tasting the 2008, 2006, 2005, 2004 and 2000. With lunch we had the 2001, 1999 and the 1995 from magnum. 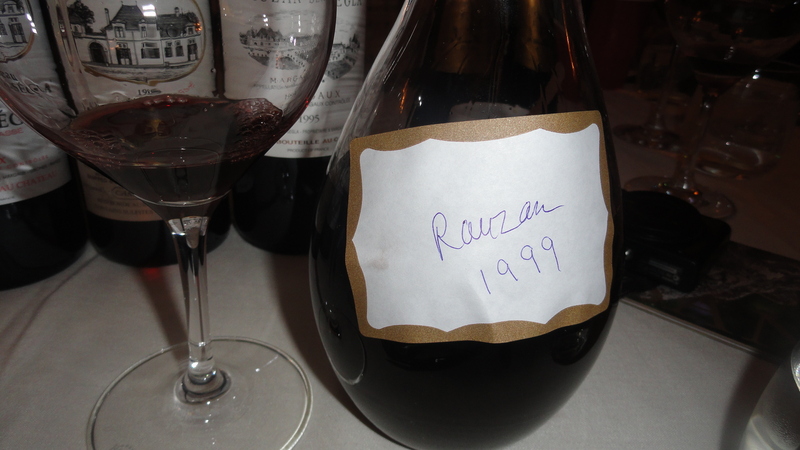 Chateau Rauzan-Seglapresented the 2009, 2008, 2005, 2003 and the 2001. With lunch we had the 1999 from Magnum, the 1995 , 1988 and the 1986. Mr. Cruse, whose family owns Chateau d’ Issan was the first speaker. He said that they only have Cabernet Sauvignon and Merlot planted in the vineyards. The percentage changes according to the vintage but it is about 65% Cabernet and 35% Merlot. The vines are about 35 years old. The harvest takes place by hand, which is a law in Bordeaux. They use about 50% new oak, medium toast. The barrels come from 5 or 6 different barrel makers so the toasting of the barrels is different. They are trying for a balanced and elegant wine. Mr. Kolasa from Chateau Rauzan-Ségla also spoke. They have mostly Cabernet Sauvignon 59% and Merlot 41% in the vineyards but also have some Piet Verdot 4% and Cabernet Franc 1%. There is supervised control in the vineyards. Vibrating sorting tables are used so that only the best bunches of grapes are chosen. Each vineyard plot is vinified separately and fermentation takes place in temperature controlled stainless steel tanks. He said that they use between 50 and 60% new wood. The amount of new wood depends upon the vintage. If it is a vintage that will produce wines with more alcohol, they use less new oak and not age it as long. Mr. Cruse and Mr. Kolasa were in complete agreement when it came to speaking about Bordeaux in general and the different vintages. They both agreed that 2009 was an “American Vintage” and 2010 was a “British Vintage”. They went on to explain that 2009 would be ready to drink sooner and more pleasing to the American palate. The 2009 was compared to the 2003 a very warm vintage but they said 2009 was a better vintage. The 2010 would be more austere and would take longer to be ready to drink. 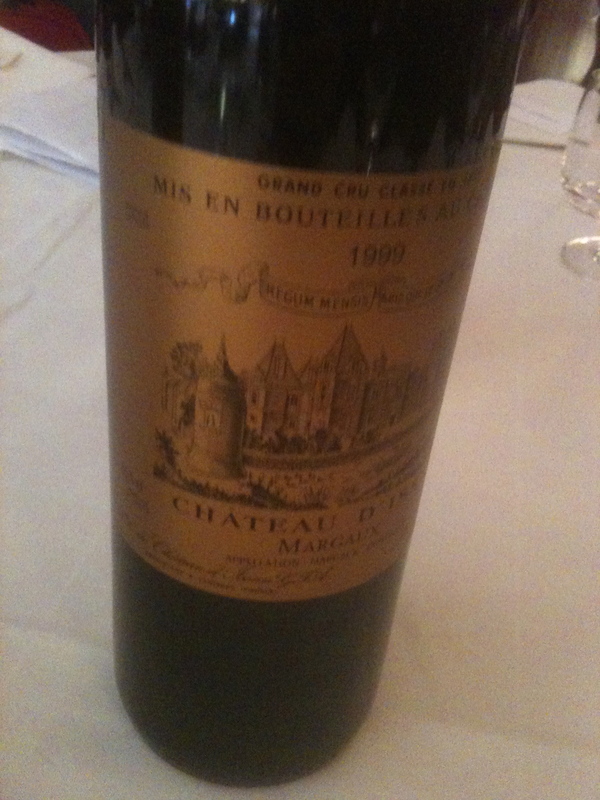 It is a classic Margaux vintage. Ed McCarthy a WMG member said he was an American but had a British palate and they should not generalize in this manner. In 2011 there were very low yields and they agreed that it was not as good as 2009 or 2010 but better than 2008. One very interesting point that they made was with all the new techniques that they use in the vineyard and winery it is almost impossible to have a “bad” vintage. A vintage like 1977 will never happen again in Bordeaux. They said that they did not make wine for the market but made wine for themselves. Bordeaux is the benchmark for wine and as goes Bordeaux, so goes wine in general. 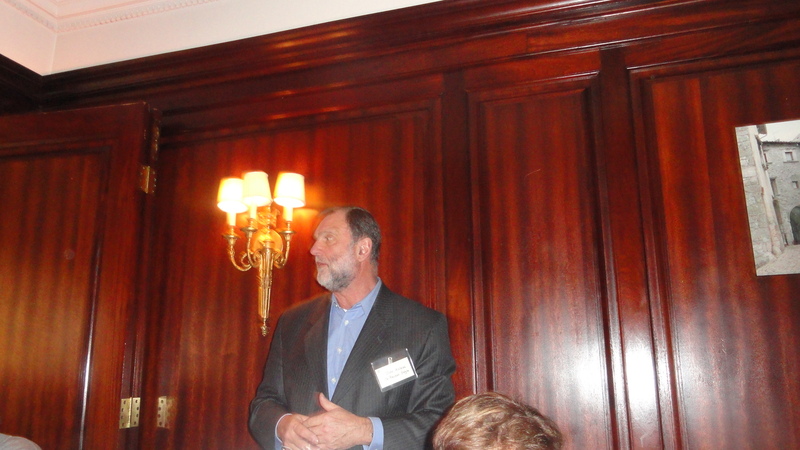 Mr. Kolasa is also a negotiant and spoke about the market for Bordeaux. He said that many people that buy Bordeaux are not “drinkers” but “collectors” that buy the wines for investment. They were very concerned about younger wine drinkers that may not have the money or want to wait the necessary time to appreciate these wines. One of the things that could be done is to lower the prices. Another would be to try and educate the younger consumer about Bordeaux. Both men agreed that their wines, like all of the better wines from Bordeaux, need to age for a long time. Bordeaux may age better than any other wines. They should not be drunk until they have aged for 20 years of more. As far a style is concerned, Chateau d’Issan is a little lighter than the Chateau Rauzan-Ségla. For a wine that is dominated by Cabernet Sauvignon Chateau d’Issan is rich, fruity, soft and supple and most likely would be ready to drink sooner then a Chateau Ruzan-Ségla of the same vintage. 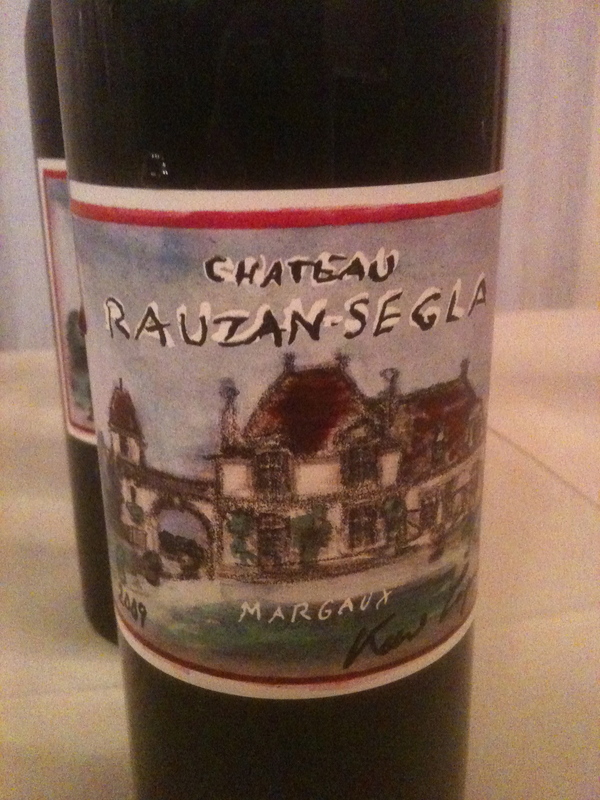 Chateau Ruzan- Ségal was more full-bodied, concentrated, and more tannic and would need longer cellaring. All of the wines were low in alcohol around 12.5% and both wineries did an excellent wine of integrating the wood. I liked both styles of wine. I liked all of the wines that we tasted but they were for tasting and not for drinking because they were too young. I also enjoyed all the wines we had with lunch. These were older vintages and all were very good and went very well with the food. The one I kept on pouring in my glass was the Chateau Rauzan- Ségla 1986. This was a great year and it was the oldest wine presented. 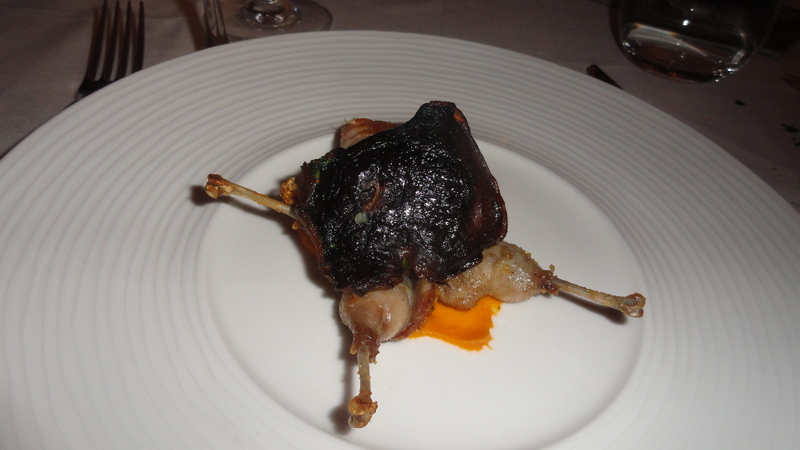 It was the perfect combination with quail that we had for the main course.